More than $2 million was dished out to bounty hunters, but Microsoft wants to do more. 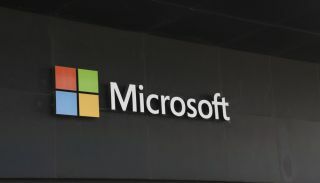 Microsoft paid out more than $2 million last year to bug bounty hunters looking for flaws and vulnerabilities in its systems, the company has announced. Now, building on that momentum, it announced a couple of upgrades to its bounty hunting program, to incentivise even more hunters to join the fray. One of the changes Microsoft is implementing is regarding the speed of the payout. As of now, bounty hunters will be able to get paid through PayPal and directly to their bank account in more than 30 countries around the globe. They will also be able to receive cryptocurrency for their work. Microsoft didn't disclose which cryptocurrencies hackers will be able to receive for their work. In order to make all of this happen, the company teamed up with HackerOne, a company that develops bug bounty solutions to help organizations reduce the risk of a security incident. All of Microsoft's awards processed through HackerOne will contribute to the hackers' overall reputation on the HackerOne platform, it was added. Rewards are also going up. A few months back, the company raised top award levels from $15,000 to $50,000 for the Windows Insider Preview bounty. It also raised the bounty for the Microsoft Cloud program (Azure, Office 365 and similar), from $15,000 to $20,000.